Tuning Word: «1<6_bass_4ths_LH//6_mel_4ths_RH<12» seen from the player. 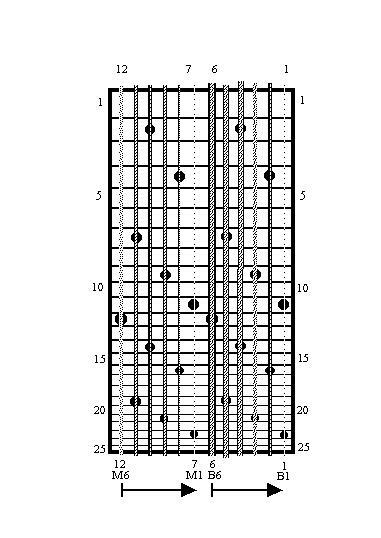 This tuning is played, for instance, by Jim Wright and Olivier Verschueren (2000) . The tuning word is «1< 6_mel_4ths_RH // 6_bass_4ths_LH // < 12 » seen from the player.